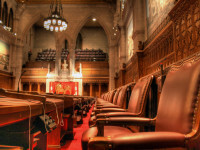 The Senate Committee on Justice and Human Rights continues its study later today on Bill C-13, the cyber-bullying/lawful access bill that has already passed the House of Commons and seems certain to clear the Senate shortly. 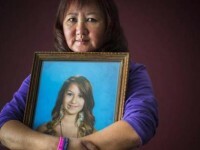 I appeared before the committee last week, but one person who will not appear is Carol Todd, the mother of cyber-bullying victim Amanda Todd. Ms. Todd wrote to me yesterday to express her dismay at the committee process with Conservative Senators mischaracterizing her views and the committee declining to offer her an invitation to appear, likely due to her criticisms of the privacy-related provisions in the bill. Yesterday I appeared before the Senate Committee on Legal and Constitutional Affairs, which is studying Bill C-13, the lawful access/cyberbullying bill. The full transcript of the spirited discussion is not yet available, but my opening statement is posted below. Good afternoon. My name is Michael Geist. I am a law professor at the University of Ottawa, where I hold the Canada Research Chair in Internet and E-commerce Law. I appear today in a personal capacity representing only my own views. Given the limited time, I’m going to confine my remarks to three privacy-related issues: immunity for voluntary disclosure, the low threshold for transmission data warrants, and the absence of reporting and disclosure requirements. I appeared on Roy Green’s Podcast to discuss Bill C-13, the Cyberbullying legislation. Listen to or download this podcast here. I appeared on The Docket podcast with Leo Russomanno and Michael Spratt to discuss the Conservative governments new cyber-bullying / internet surveillance legislation – Bill C-13. Earlier this week, I posted on how Canadian law already features extensive rules that can be used to target cyberbullying, which raises questions about the prime justification for Bill C-13 (the cyber-bullying/lawful access bill). That post attracted a response from the Department of Justice, which (consistent with politicians and other officials) points to a June 2013 report on cyberbullying from federal and provincial justice ministers as the basis for Bill C-13. While the government seems to think the report provides a solid foundation for its bill, the reality is that the justification in the report for the lawful access provisions stands on very shaky ground.